On 4th and 5th August 2017 good hope organized two (2) school management meetings at Kenyange primary school and Kisinga Vocation secondary school which aimed at share and discuss key issues that contribute to violence against children and adolescents in the respective schools and then to come up with initiatives that can address the identified issues to reduce children’s vulnerability to violence in the respective schools. 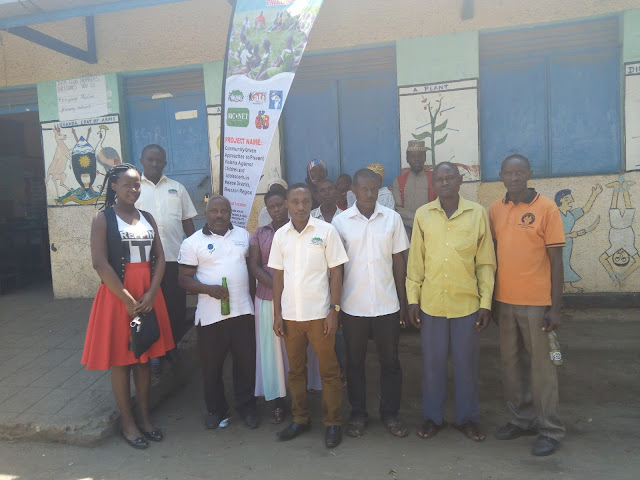 The meetings involved members of parents-teachers association (PTA) and the school management committee members (SMC) of the sub county leadership from the two sub counties of Kisinga and Karusandara who included the CDOs, councilors, chiefs, and the secretary for production. 30 (10f and 20m) members attended the meeting. Among the key issues identified and discussed during the meeting included; the lack of learning space for the pupils at Kenyange Muslim where the class room block was taken off by the strong winds that hit the sub county in 2016 and up to now the school has been un able to roof again the block. Currently pupils use the tapeline that was provided by save the children as the class room. This has made the learning environment for children unfavorable especially during the hot and rain season thereby affecting the learning capacity of children. Members at Kenyange Muslim also raised another issue on limited engagement of children in co-curriculum activities such as sports, MDD which was attributed to the abscess of playground at the school, sports items such as balls, MDD kits such as drums to mention. This has always violated the children’s right to play and also increasing the chances of children not to stay and complete school. Members also commended on the decreasing school enrolment which members attributed to un seriousness among the teachers, religion where the school has been treated to be only for the Muslims, and then the weak management. Additionally member mentioned the issue of lack of suggestion box for the children which limits the platform for students to share with the administration what they pass through and their grievances for addressing by the administration. The management of Kenyange Muslim and the sub county leadership of Karusandara suggested that there is need to put up a playground for the children and strengthen the co-curriculum activities at school as a way motivating children to love the school, stay and complete school. It’s away also of managing psychological torture among the children. 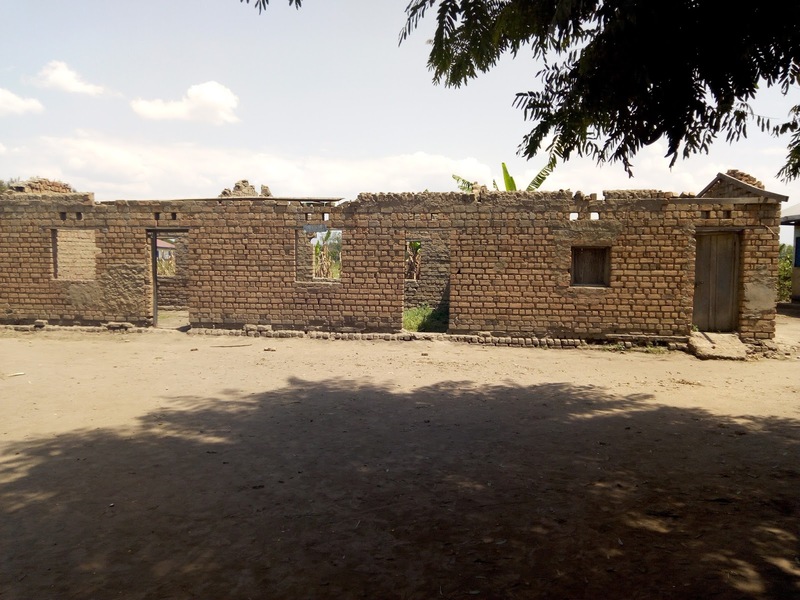 The sub county leadership and the management also suggested that there is a need for an urgent work on the classroom block for the children. On this they suggested to approach the area member of parliament and the sub county for assistance. Members Kisinga Vocation secondary school suggested that in order to address the issue of students engaging themselves in alcoholism and video halls, there is to procure a school video screen for the students to be used by the students during a specified day and time. This will help in occupying the student’s time thereby reducing the chances of them from engaging in risky behaviors and being violated. However they added that it should be used to watch educative items. Members also suggested that there is a need to put up a suggestion box for the students to share their challenges and grievances the administration for quick response. 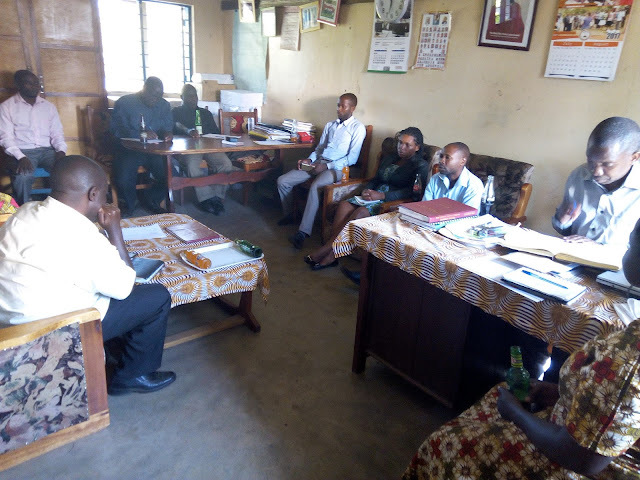 At Kisinga Vocation secondary school the PTA/SMC agreed that they will be procuring video set for the students. Good Hope Foundation also contributed financially towards this initiative. “GREED AND POVERTY, KILLING KASESE"